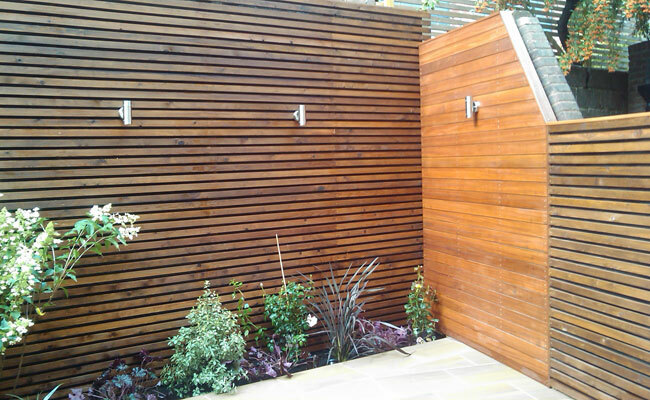 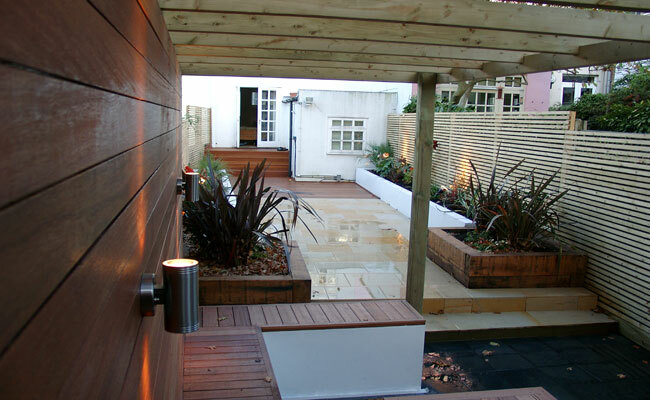 Decking with steps leading to contrasting paved areas. 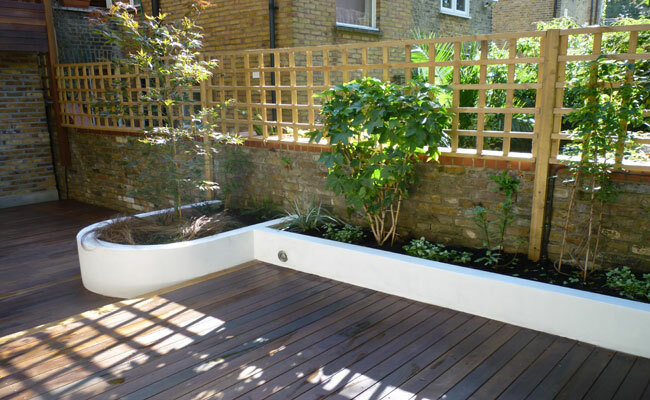 Decking with contrasting paved area. 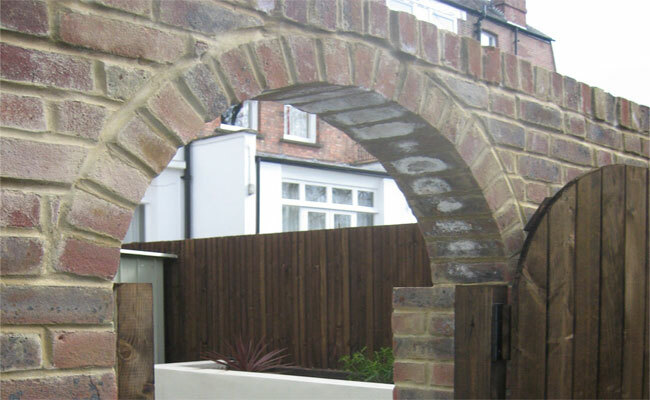 Paved patio with lawn and arched gateway. 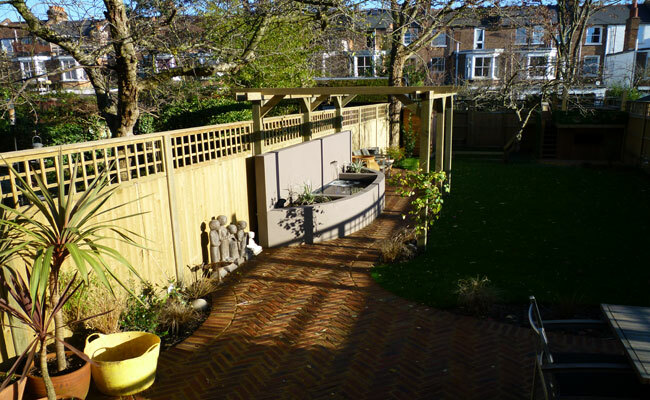 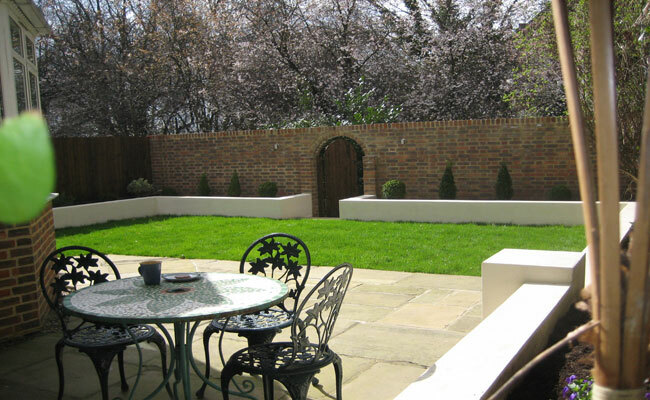 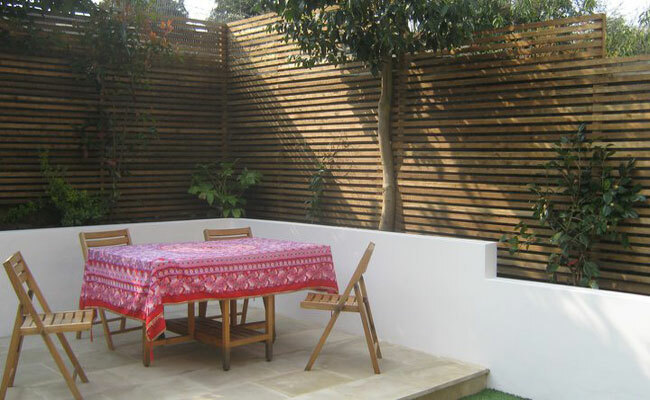 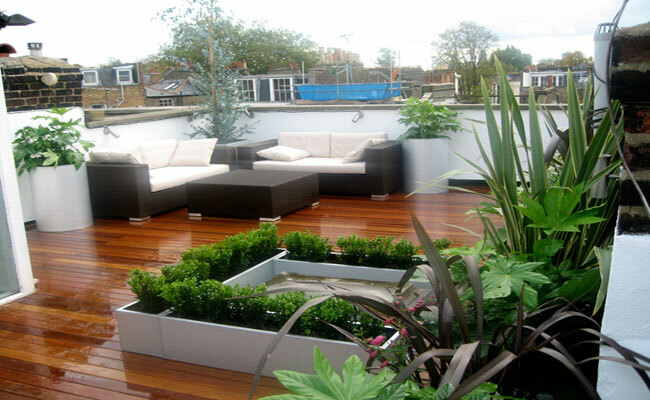 Garden furniture on decked roof garden. 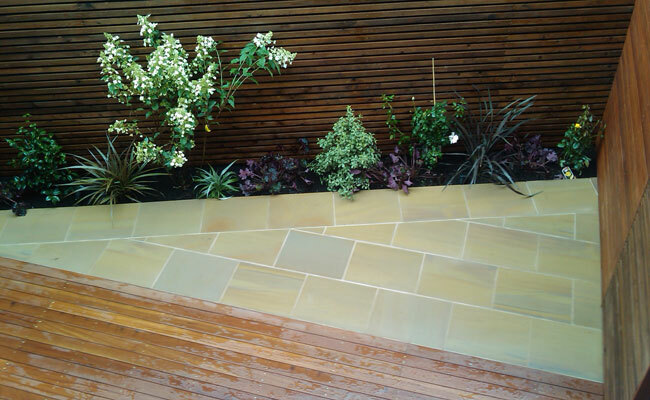 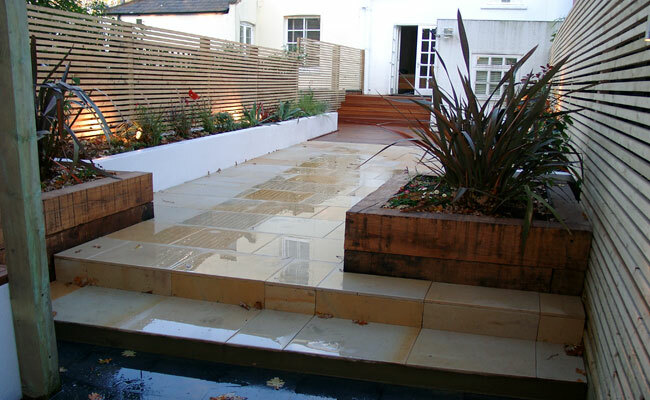 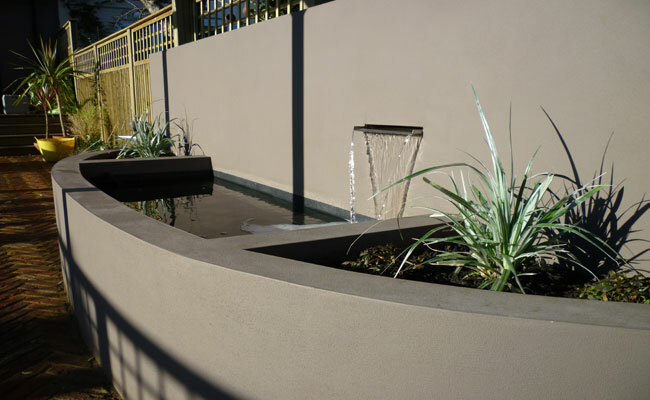 Contrasting stonework pathway with water feature. 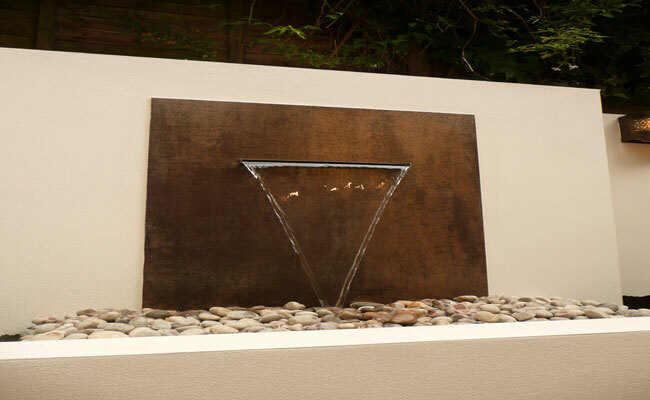 Water feature with singing pebbles.